I would like to emphasise that a hospital is about managing and treating patients, and unlike what some people believe it is not a hotel with some medical services attached to it. It is about clinical offerings and services. Hence the heart of a hospital is the presence and quality of the clinical departments that are functioning there. In their anxiety to differentiate, it has become a fashion for most multi-specialty hospitals to label their clinical departments as Centres of excellence or Institutes- so we will have Institute of Orthopaedics, Institute of Renal Sciences, Centre of Cardiac Sciences and so on and so forth. But is that what they really are? Does mere labelling transform them into Centres of excellence or Institutes. What is a good Clinical programme? How do you define it? 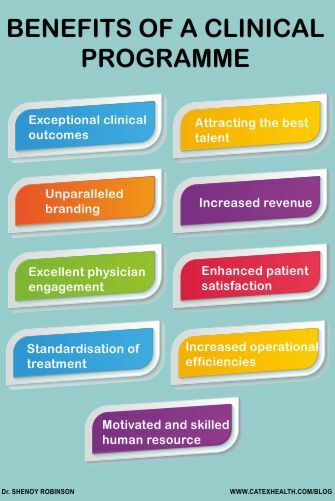 What are the benefits accruing from a great Clinical programme? I will attempt to answer some of these questions in the following few pieces. If we attempt to find a definition for the above we will fail because there is no ready-made clear-cut definition for a clinical programme. “Clinical” in our context would mean all that is involved with or related to the diagnosis and direct medical treatment of patients. Hence a clinical programme would mean a group of planned and coordinated activities, procedures, etc., which are dedicated towards providing the best clinical outcomes for a patient. In order to develop a picture of a great clinical programme, let us take a peek at the Neuro sciences programme at the Johns Hopkins hospital – one of the leading centres in the world. The programme consists of more than 45 centres and clinics for Neuro Sciences, 10 speciality programmes and units, 11 research labs, which cover almost the entire gamut of known neurological conditions. They diagnose, treat, monitor, rehabilitate, educate patients, conduct research, teach and train doctors and other personnel, have a dedicated website for themselves, disseminate podcasts…the list is impressive. What a great programme! However, it took them more than 120 years to reach this stage. They did not achieve this in 2 to 4 quarters!!! A note of caution, we should not get confused between a clinical department and a programme. A Neurosciences programme comprises of many departments like Neurology, Neurosurgery, Mental health, Rehabilitation etc., each of whom in turn will have very many sub specialities and departments that are complete on their own. It will have the support from dedicated and specific screening and diagnostics, will involve dedicated Patient follow up and monitoring programmes, along with specific rehabilitation, education and research. This is the complete package! When hospitals are being planned in India we find that those “departments” that do not generate major revenue are either excluded from the hospital offerings or given low priority. The result – an incomplete programme, where in patient care suffers. Take an example, most multi-speciality hospitals in India today are treating chronic diseases and their complications, but how many of them have clinical psychologists in the hospital? It is a no brainer that most of these patients are depressed and/ or anxious requiring counselling and disease education. So, the question is, are they actually providing the best treatment for their patients which they loudly claim? Do they have clinical protocols that are comprehensive and ensure that these protocols are followed? Are they catering to the holistic needs of their patients? An ideal clinical programme would be “complete”; comprehensive having both the required breadth and depth to treat the diversity of diseases and conditions that fall under the ambit of the programme. Ideally it would have representation from all the clinical specialities that are required to make sure that the patients do not have to go anywhere else for their treatment. It would necessarily inculcate an environment of academics and research as that is critical to stay up-to-date with the latest happenings in the focused field. Wow sounds utopian! Does it work in India? Most of my readers would react by saying this is not relevant for us, or me or my hospital. Why would a private hospital be interested in this serious investment of resources and time? Is this not the realm of Government and “not for profit” entities? After all a “for profit” organisation is answerable to investors, and commercial interests are critical. What are they to gain by building great clinical programmes? In other words, what are the benefits accruing to a private “for profit” hospital by building strong clinical programmes? All the above are a result of offering the best treatment at global standards using internationally accepted clinical protocols for patients who visit the hospital. A good programme is comprehensive and takes into account all aspects of the patients’ requirements (diagnosis, treatment, monitoring, follow up, rehabilitation, support services) and thereby ensures that not only are the clinical outcomes great but there is awesome patient satisfaction. There is a paradigm change that needs to be developed amongst the patients wherein they actually believe that they received treatment at the “best” institution from the best physicians, even if the outcomes do not match with their expectations. Physicians not only develop the programme, they also continuously review it, add value to the clinical offerings. The key lies in creating a system which allows for meaningful physician engagement from all doctors in the speciality rather than allowing a select few to dominate it. I have seen well intentioned programmes not taking off because one speciality or star doctor dominates the programme with the result that other specialities feel suffocated. For example, if we have a star Neuro Surgeon being allowed to lead the Neuro Sciences programme, the other specialities Neurology, Psychiatry feel suffocated. I have personally witnessed such a situation in in two major hospital chains that I have been associated with. The result was that the hospital could not attract the best Neurologists and struggled with less experienced ones who also eventually left. The programme was lopsided and never really took off. Such a situation can be avoided if provided the programme is structured and planned well. Once a good programme structure is in place and running, there is a dramatic change in the doctor’s “buy in” and motivation levels. It is to be noted that unlike popular perception the vast majority of doctors value professional satisfaction over pecuniary gains. A good programme will also ensure that standardised treatment protocols are in place in the hospital, complied with, clinical outcomes monitored and performance reviewed. Peer performance reviews form a key part of a good clinical programme and physician engagement works best when they review and regulate their own with minimal “management” interference. A great clinical programme on its own attracts the best medical talent because every professional wants to work in the best institution with the best people. 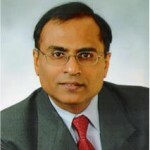 There is great fascination for working at the cutting edge of technology with the latest advances and techniques. In other words, for the hospitals there is a double benefit – Not only is the medical staff motivated and engaged (they do not think of leaving for other institutions), there is a steady flow of the best talent into the institution. Human resource issues solved! Great clinical programmes don’t need to invest in marketing, in fact they don’t have to market at all. The patients, other doctors and the community markets for them. Given adequate time revenue, profits etc. cease to be an issue. Some of the top private institutions in the country who have great clinical programmes do not even have marketing departments! 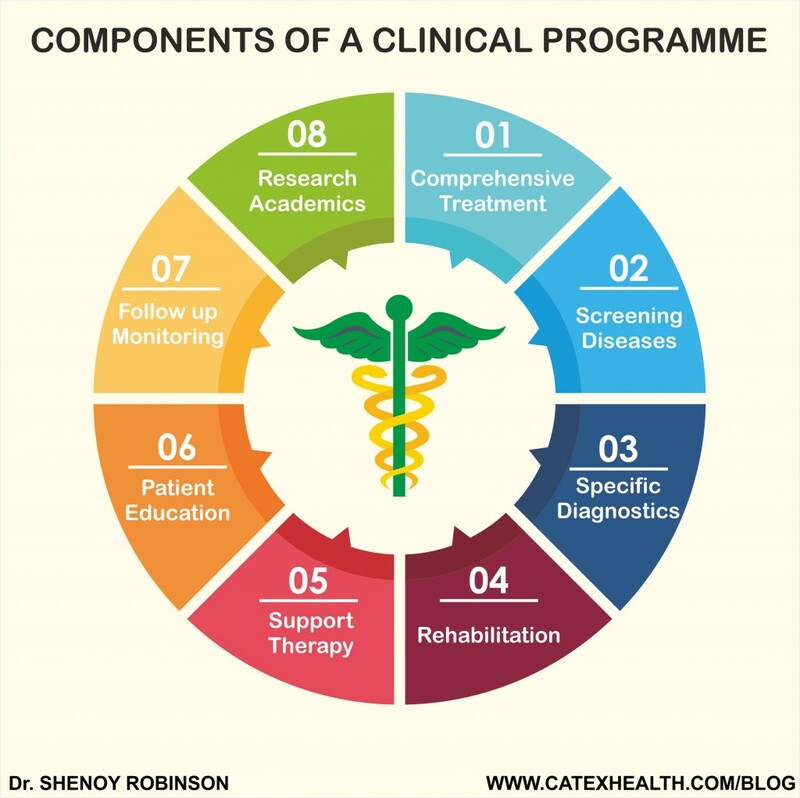 How to build a clinical programme? This blog does not provide me with the the space to go into detail regarding the building of clinical programmes because it is quite complex, but I have tried to simplify and present the basics of the same. Support therapy like nutrition, counseling etc. The next step is to find the right Human resources – maybe create a clinical advisory group that will help to fill in the details that are needed above. The key to success lies in identifying the Leader who will get the right kind of people and will lead this group. This is critical for success as otherwise the discussions and planning will get derailed or lopsided. It is important that there is democracy in decision making and every speciality is given equal respect. This leader may be part of the hospital management or can be outsourced at least initially till the programme is in cruise mode. Any other special requirements not covered above. I have outlined a generic template which looks very simplistic, however when we get into specifics of any programme the details will be pertinent to that clinical programme and may vary from Programme to programme. The purpose of the blog is to create awareness and not disseminate solutions. Breadth: Specific dedicated teams for Neuro, head and neck, Thoracic, Ortho oncology, Uro oncology, Gynae oncology, Breast GI oncology, Skin, Haematology, Liver etc. Depth: Specific Diagnostics to support the above which could include Advanced radiology (PET-CT), Genomic testing, Genetics, Nuclear medicine, Tissue typing, cancer markers etc. Comprehensive Treatment modalities that could include, Transplants, interventional radiology, Nuclear medicine etc. apart from the routine therapies available. Rehabilitation: Specific and tailor made for every patient. In the business planning sessions of most hospitals today there is a tendency to focus on non-clinical strategies and tactics to improve and grow the business. These are important but provide only a limited impact on growth, remember every other hospital is also focusing on the similar issues. Where are the differentiators? In conclusion, clinical programmes form the core business of the hospital, and it is time that hospital managements and promoters in India start focusing on them more strongly. Yes, it is tough, time consuming, constant, needs resources and bandwidth, and there is a lack of know-how on how to do it, but they are the key to long term success. We will continue to explore this topic of Growing Business in hospitals by focusing on Marketing in the next blog.